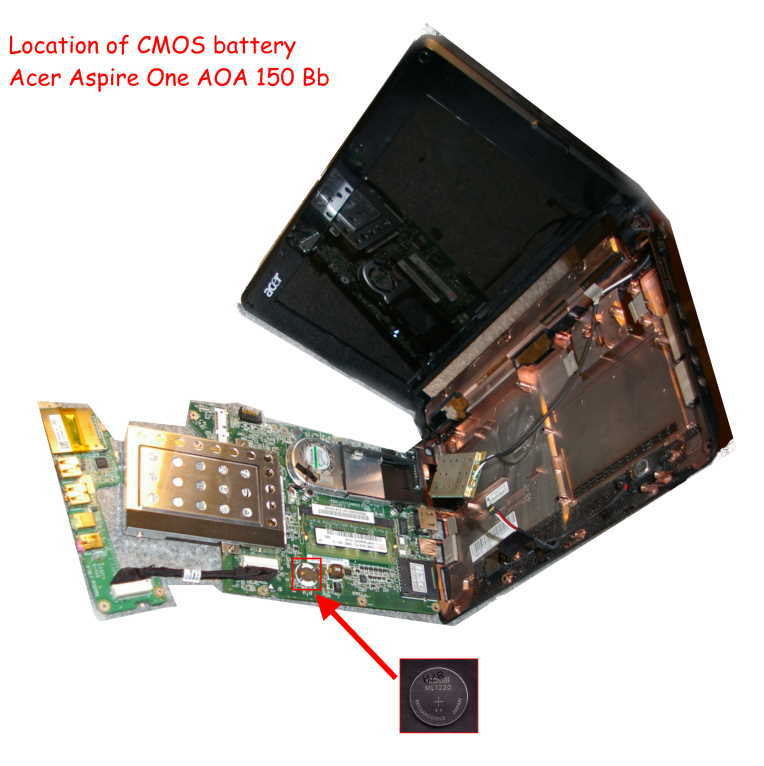 How do I change the CMOS Battery on my Acer Aspire One ZG5 AOA-150 Bb Netbook? Here is a link to the service manual for your computer. Thank you, I will work my way through it. Sign in & create an acct will not let u do either to see ur diagram. I cannot find the cmos battery on this model. And the link here is not working anymore. Anybody who can give a hint? I just tried the link to the manual and it is working. Perhaps the server was down earlier. Thank you. I indeed meant the picture you posted. It is clear now, the battery is at the lower side of the mainboard.